Eight years in the making, Hong Kong’s high-speed rail officially opened last month. The $11 billion project created the longest high-speed network in the world, connecting 44 cities in China to Hong Kong. It’s forecast to ferry 80,000 passengers a day – including business travelers and tourists – in and out of Hong Kong. An immediate impact for travelers to Hong Kong: a steep drop in costs. A ticket on the bullet-train saves upwards of 70 percent compared to the price of an airplane ticket, while travel time remains relatively unchanged, according to an analysis by Bloomberg. The sudden discount for passengers from central Chinese cities like Changsha, Wuhan and Zhengzhou could result in a heavy influx of tourists, along with millions of dollars in additional revenue, says David Marriott, Senior Vice President of Strategic Advisory for JLL’s Hotels and Hospitality Group. “While the bullet train has made it easier and more accessible to enter Hong Kong, finding a place to stay at a decent rate might get tougher,” adds Marriott. Hotel rooms in Hong Kong were already in high demand. Overnight visitor arrivals from China to Hong Kong grew by over 6 percent in the first half of 2018 when compared to a year earlier, according to Hong Kong Tourism Board statistics. Hong Kong has nearly 80,000 guest rooms. This may sound like a lot, but New York has 115,000, and is expected to build another 30,000 rooms by 2019. 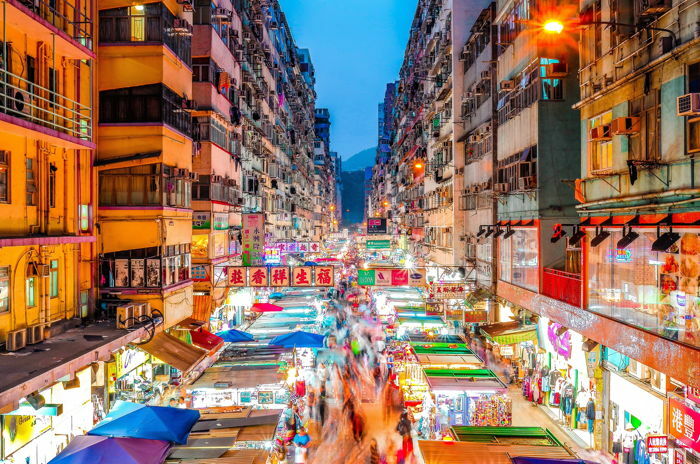 And steadily-increasing visitor arrivals in Hong Kong have pushed hotel occupancy rates to all-time highs, with average daily rates following suit. JLL predicts that Hong Kong’s revenue per available room (RevPAR), a common term to measure hotel performance, will grow by more than 12 percent this year, having already grown by a staggering 13 percent in the first half of the year, according to the Hong Kong Tourism Board. Growth will initially be higher in the budget and mid-level hotels versus the luxury properties. “Hotel owners looking to capitalize on this growth should be focused on active revenue and channel management, and ensuring their properties are well-maintained,” suggests Hamabata.